We are security cameras in Barcelona. 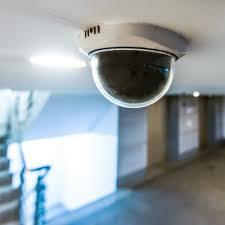 We install video surveillance cameras and video recorders, all types of installations from small to large networks. We have different types of security cameras and different technologies. We can offer cheap video surveillance kits or a specific study of the needs of your company, making a tailored suit. We install surveillance cameras in Barcelona and if our customers ask us, we can make a budget with installation packages that do not need monthly fees or maintenance fees. If where your home or business is located you not have an internet connection, we also provide access. We can interconnect via wifi, via 3 / 4G, satellite, etc, plug and play, fully configured and working. 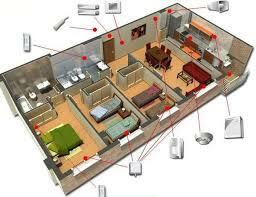 All our equipment has the most advanced motion detection systems, either by software or by alarm input. They also have advanced features such as face detection, line crossing, abandoned object, marked perimeter entry or exit, etc., etc. Our system creates a powerful private wifi network (2.4 and 5 ghz) between the recorder and the IP cameras, releasing the router of all data transmission. It also has continuous recording and motion detection, mobile push notification. Ask us for a remote demo and get more details of our self-installing surveillance kit in Barcelona here. – Rapid assistance in case of breakdown. – Possibility of support and troubleshooting through online access to your equipment. – Possibility of hiring a specific maintenance of your equipment. – Possibility of connecting our video surveillance system to an alarm center. – Security cameras repair service, video recorders and other complements. – Extra features: external recording service in the cloud, for specific periods (holidays) or indefinite.The idea is that your video surveillance cameras are monitored in a continuous way, anticipating possible future failures due to wear or any type of vandalism. Your specialist in security cameras in Barcelona. 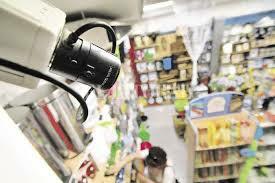 We are video surveillance installers for shops in Barcelona. From small shops to department stores and even interconnect them with other stores in other locations to manage them as a central monitoring system. You can have total control over your trade.We are constantly updating our equipment via firmware to provide them with advanced functions that help the marketing management of their stores.Functions like the heat map, where it is represented in different colors, the areas of your store where the most attention is payed by your customers.This helps to evaluate window dressing strategies, and to assess which of your products really are interesting for your clients. Your security camera will give you more valuable information. Your specialist in security cameras Barcelona. We are installers of video surveillance systems for companies in Barcelona. Similarly, whether a small office or a large industrial warehouse, we provide both with video surveillance cameras and recorders necessary to maintain the security of their facilities. Maximum security for your company. We install wireless security cameras, security cameras with audio, hidden security cameras, motorized security cameras, IP cameras … in short, we cover all the possibilities and create projects tailored to your company. Your specialist in security cameras in Barcelona. 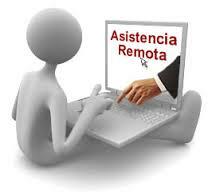 We are installers of video surveillance for homes in Barcelona. And in the same way, and either if you have a small flat or a big house, we provide both with best video surveillance cameras and recorders necessary to maintain the security of your facilities and family . Maximum security for your home. We have security cameras with a careful esthetic both for indoor and outdoor use. We hide cables. We offer the possibility that the entire video surveillance system can be accessed from any room in the home, either via Wi-Fi or from the main television,and even through your smartphone. Our automatic video alarms system to your mobile (PUSH), will warn you of any intrusion to your housing immediately notifying your telephone. Your specialist in security cameras in Barcelona. 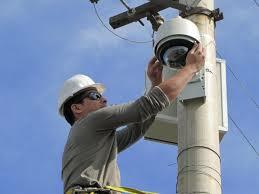 We have video surveillance kits for neighborhood communities with capacities from 4, 8, 16 and 32 cameras. High reliability, modern and robust equipment together with periodic maintenance. Possibility of remote control of the system via IP. We hide the wiring in a way that has the least visual impact on the aesthetics of the building. We install all kinds of security cameras, both for indoor and outdoor use. We install anti-vandal security cameras, necessary to avoid any attempt to sabotage the system, and protect our video recorders inside security cabinets, with forced ventilation and high security lock. We work with video surveillance video recorders with a very intuitive and modern use, with automated functions that do not involve tedious learning tasks. Parallel to video surveillance, we are also installers of alarms for businesses in Barcelona. We provide you with the most advanced security systems for the protection of your business. We also link our video surveillance system with the alarm system for a more effective response, more efficiently avoiding false alarms. We provide motion sensors (PIR), contacts for windows and doors, powerful sirens, battery systems incase of power cut, connection and alarm transmission directly with central reception (CRA). We have systems with connection to the central receiver, via standard telephone (RTB), as well as via mobile telephony (GPRS), as IP, in addition to using a combination of the 3 to have more alternatives to any sabotage. Our video alarms system produced by the video surveillance cameras, gives in turn support to the alarm system. 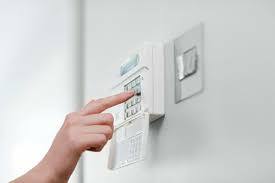 We can provide wired or radio alarms, although our advice and predilection is that they are always wired. Finally, our central alarm receiver has an almost immediate response time. And for your peace of mind at home, we offer our services as installers of alarms for homes in Barcelona. Equipment that combines security with aesthetics, which go unnoticed among its decoration. But with an immediate response to any intrusion. And in the same way, fully integrated with our video surveillance systems. Alarms that combine 3 connection technologies with our central alarm receiver (CRA): conventional telephone line (RTB) + mobile telephony (GSM) + IP (via the internet) with the possibility of simultaneous operation of the 3 to ensure greater security. We also provide our customers with a mobile phone software to remotely connect / disconnect their alarm systems, ideal for temporary access to external personnel (cleaning, installers …). Always supporting our video surveillance systems. We install IP video door phones for individual houses and neighboring communities. Our systems are fully IP and allow us to respond whether we are in the house or whether we are traveling or outside. From our mobile phone we will receive the call, we can talk and respond, as well as remotely open the door. Likewise we will be able to remotely follow the person to whom we have opened the door from the other cameras of our video surveillance system. And everything from our mobile. Give access to transit areas or common areas without having to be physically in the same facility … let the carrier deliver a package to you in a specific area within your facility and remotely monitor it with the rest of your CCTV cameras. 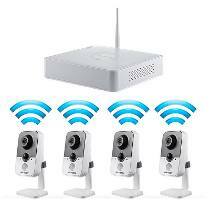 Record all the operation with your security cameras, besides recording as if your video door was another video surveillance camera. Also reproduce the video messages left by people who have visited you and didn´t locate you at home due to the fact that the video door phone has recording on SD memory card. In addition, also allows you to connect to a video recorder. We are your installers of security cameras in Barcelona.